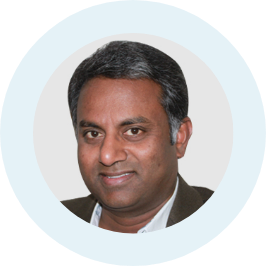 Suresh is a technology professional, a successful entrepreneur and has over 20 years of experience in high-tech industry, with a particular focus on developing advanced software applications for Telecommunications and Media Industries. He is currently President and CEO of Loginsoft Inc and Ceredox Technologies with headquarters in Chantilly, VA, USA and Hyderabad, India. Prior to Loginsoft, Suresh held senior technical and management positions with Wipro Systems, Tele-TV and Bell Atlantic. While working for Wipro, he was involved in setting up offshore development centers for their US & European customers. Suresh was a senior member of the Systems Integration team at Tele-TV and was part of a team in developing and deploying the industry’s first successful Interactive Video Systems on DSL and Wireless networks for Bell Atlantic customers in Northern Virginia and for Telecomm talia in Rome, Italy. Prior to that he worked in Bell Atlantic as a senior programmer involved in reengineering various applications relating to Billing and telephony order entry systems. During a 7-year stint back in India from 2008 to 2015, Suresh became an active investor and mentor for start ups and advocated startup culture and entrepreneurship. He’s helped craft business plans and raise capital for numerous early-stage companies globally. Suresh received MS in Telecommunication Management from University of Maryland, College Park, MD, MS in Computer Science from Drexel University, Philadelphia, PA and B.S in Electrical Engineering from JNT University, Hyderabad, India. 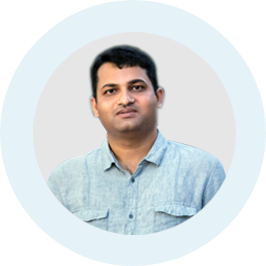 Our man on the ground in India, Suren sources, recruits, and manages our talented group of software engineers in India. 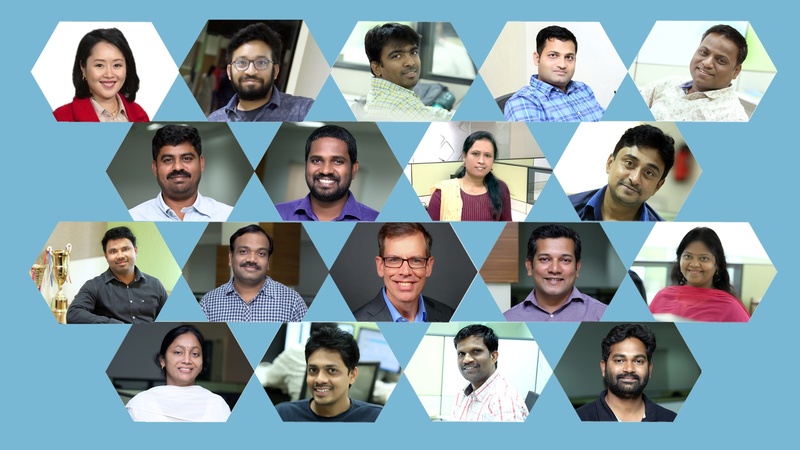 Under Suren’s leadership, our Hyderabad team supports clients around the world with software development of Health care, Telecom and Media types of systems. A speaker of four languages: Telugu, Hindi, Tamil and English, he’s well prepared to lead our global workforce. Prior to joining Loginsoft, Suren served as an Offshore Development Manager for Hanley Wood. His other prior experience includes stints at YellowHomeCare and Oracle. The futurist in Suren most looks forward to no-touch interfaces. As he sees it, GenX had computers with a Mouse and Keyboard, Millennials were the early adopters of text/SMS at blazing speeds and for the next generation it will likely be No-Touch interfaces. If Suren weren’t running Loginsoft’s operations in India he says that you just might find him in Hawaii, book in hand, sand as his seat, touching his feet. But for now, outside of his role with Loginsoft, Suren enjoys being Dad to his 3- year old. Our resident HR allstar, Shalloo wears many hats in heading up recruiting, hiring, On-boarding, employee relations, payroll, employee development, training, compensation, benefits administration, worker’s compensation and labor relations. Her extensive hands-on experience leading HR initiatives includes policy design and procedures, performance management, compliance reporting, HR workflow development, training and development, and benefits administration. Her extensive knowledge is invaluable in linking people strategies to business strategies for our client. We rely on Shalloo’s expertise in implementing HR best practices, online HR portal and Immigration services for both Loginsoft and our clients. 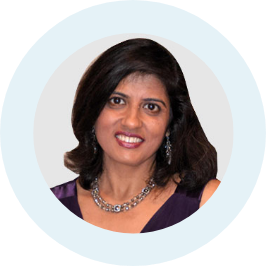 Whether it’s handling H1-B, B1 visas and Green card processing, she ensures compliance with all the USCIS and DHS rules. And yes, she also handles some of the less fun, but crucial aspects of HR like for setting up and complying with state withholding and unemployment accounts. When she’s not wearing her HR hat, you will find Shalloo dancing to Maroon 5 and photographing her latest culinary creations. If she were able to have one superpower, she’d opt for a photographic memory. Given how much she handles for us, we think she might already have that!